The first human corneas have been 3D printed by scientists at Newcastle University. [dropcap style=”font-size: 60px; color: #9b9b9b;”]I[/dropcap]t means the technique could be used in the future to ensure an unlimited supply of corneas. “Our unique gel – a combination of alginate and collagen – keeps the stem cells alive whilst producing a material which is stiff enough to hold its shape but soft enough to be squeezed out the nozzle of a 3D printer. 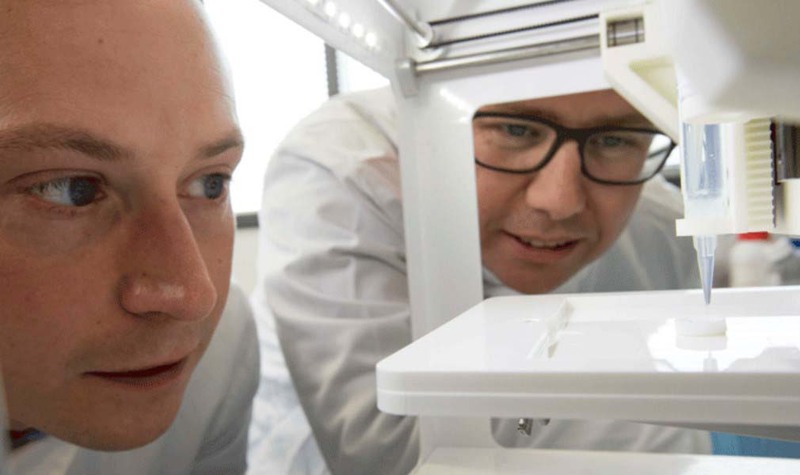 Dr Neil Ebenezer, director of research, policy and innovation at Fight for Sight, said: “We are delighted at the success of researchers at Newcastle University in developing 3D printing of corneas using human tissue. “This research highlights the significant progress that has been made in this area and this study is important in bringing us one step closer to reducing the need for donor corneas, which would positively impact some patients living with sight loss. “However, it is important to note that this is still years away from potentially being available to patients and it is still vitally important that people continue to donate corneal tissue for transplant as there is a shortage within the UK.